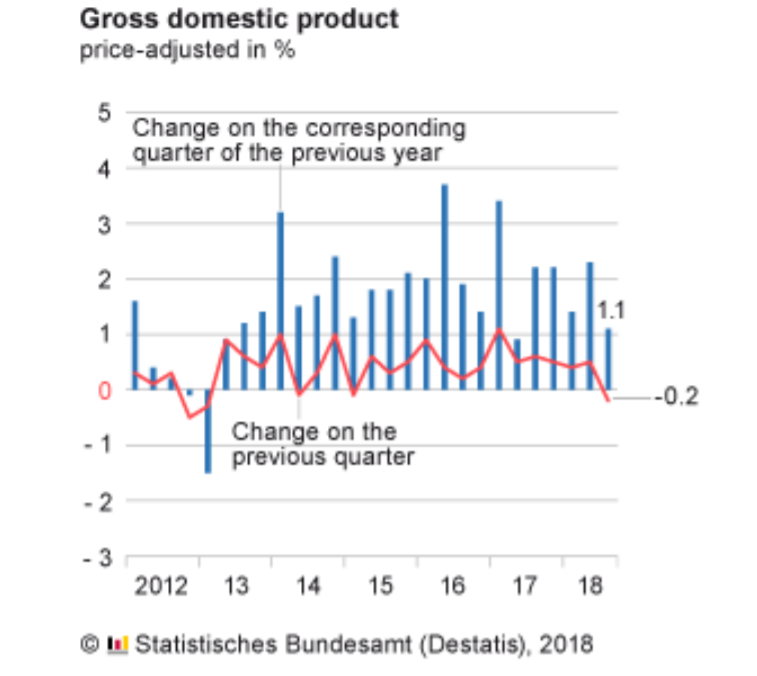 Germany narrowly avoided a technical recession (2 quarters of negative growth) by growing at 0% (non-negative) in Q4 2018. 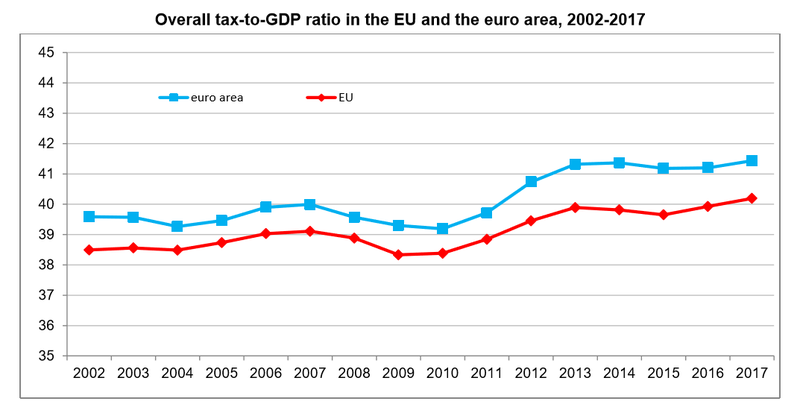 Seasonally adjusted GDP rose by 0.2% in the Euro area or Eurozone (EA) and by 0.3% in the European Union (EU) during Q4 2018, compared with Q3 2018. Germany Q3 2018 GDP shrank 0.2% on the previous quarter (worst since 2015), did Eurozone really grow 0.2%? 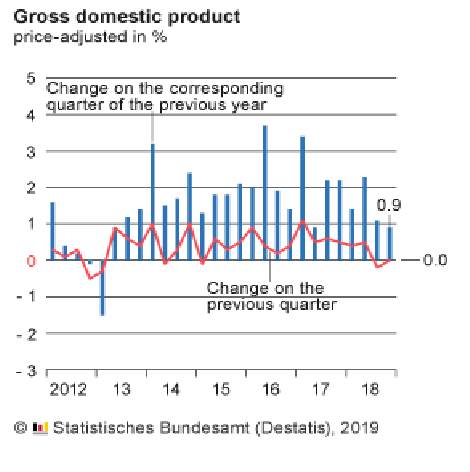 The Federal Statistical Office (Destatis) reported that the German GDP shrank by 0.2% in the third quarter (vs the second quarter) of 2018. 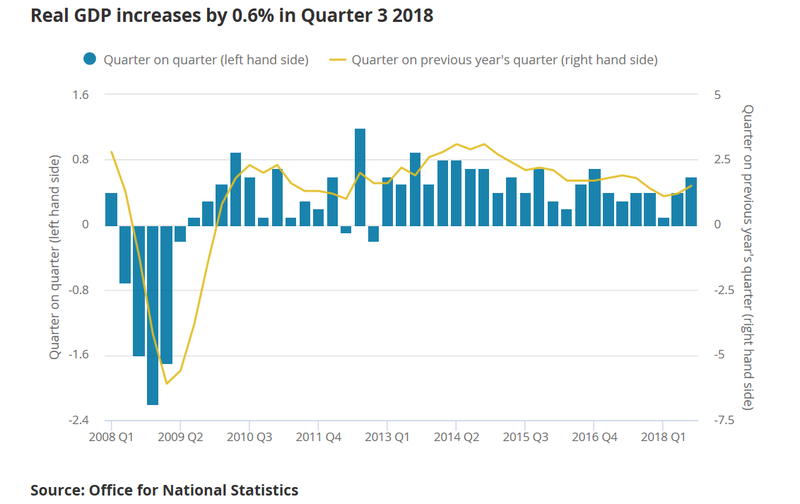 Growth was +1.1% on the same quarter a year earlier following increases of 2.3% in the second quarter (calendar adjusted: +2.0%) and 1.4% in the first quarter of 2018 (calendar adjusted: +2.1%). 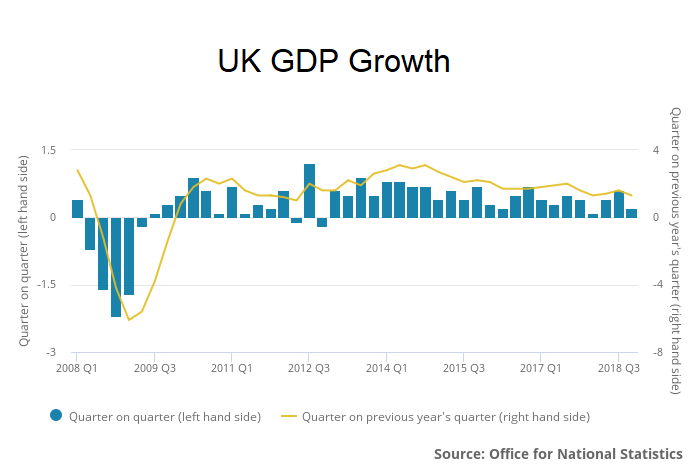 In comparison with the same quarter in the previous year, the UK economy has grown by 1.5%, continuing its relatively subdued performance over the last year.